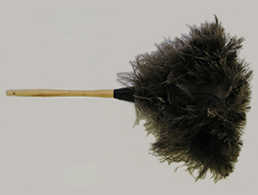 Ostrich Feather Duster(Extra soft and washable) 30cm handle, available in Natural. A good size duster to use all over the house. Ideal for the television and computer as the feathers hold the dust instead of just moving it around.